Pakistan continued their dominance in the shorter format as they defeated Zimbabwe by 74 runs in the first match of the tri-nation series. Zimbabwe vs Pakistan, Tri-series: Pakistan continued their dominance in the shorter format as they defeated Zimbabwe by 74 runs in the first match of the tri-nation series. Pakistan post 182/4 in 20 overs againts Zimbabwe. Asif Ali and Shoaib Malik’s late surge put Zimbabwe bowling on the backfoot. While Pakistan batsmen showed some brilliant performance, their bowlers too continued to dominate the opponents. Mohammad Nawaz, Usman Khan, Hasan Ali and Mohammad Hafeez scalped two wickets apiece. Pakistan will now play against Australia on Monday. They have been clincial with both bat and ball but need some improvement in the fielding department. They were sloppy in the field today as well and would look to change this in the next game. Pakistan beat Zimbabwe by 74 runs. It was a clinical all-round performance from Pakistan as they beat Zimbabwe by 74 runs in the first encounter of the tri-series. Banged in short by Muzarabani and Fakhar gets out of the way to pull and he pulls it decently to send the ball coasting over the third man fielder for a six. Top-edge and six, no stopping that! Second ball of the match and series and it has been dispatched for a six. Slog swept over deep midwicket for a six. Didn't time it well but did just about enough to clear the short boundary. Debutant Nyumbu will get things underway after a long delay. A person creating problems for Hafeez to bat and hurting his vision. The coloured advertising boarding it seems. A black cloth is now on it and it looks like we're ready to go. Zimbabwe have won the toss and opted to field at Harare. Hello and welcome to our live coverage of the T20 tri-series in Zimbabwe. The hosts get things underway against Pakistan. A serious mismatch in form and in terms of personnel also. 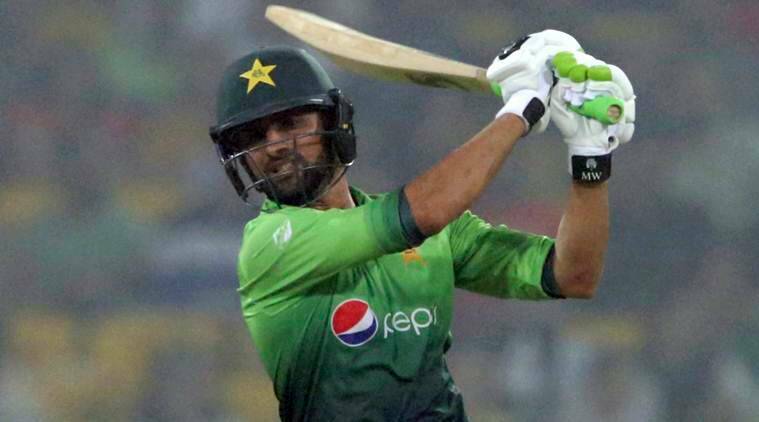 Zimbabwe vs Pakistan Live: Zimbabwe have had the ability to produce surprises in limited over contests when they're playing at home. But following the disagreement between playrs and board over payments, the mismatch between teams could be quite evident as top-ranked Pakistan and a strong Australia come for a T20 tri-series. Graeme Cremer, Sikandar Raza, Brendan Taylor, Sean Williams and Craig Ervine all won't be playing with Hamilton Masakadza named captain just 24 hours before the game.